T for me Design have two new goodies out today! 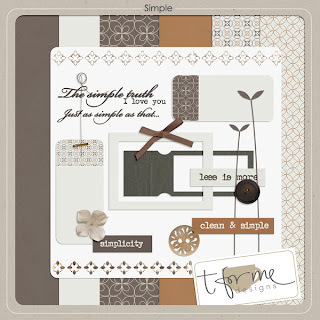 She is guesting at MScraps this month and have made a new exclusive minikit called Simple. 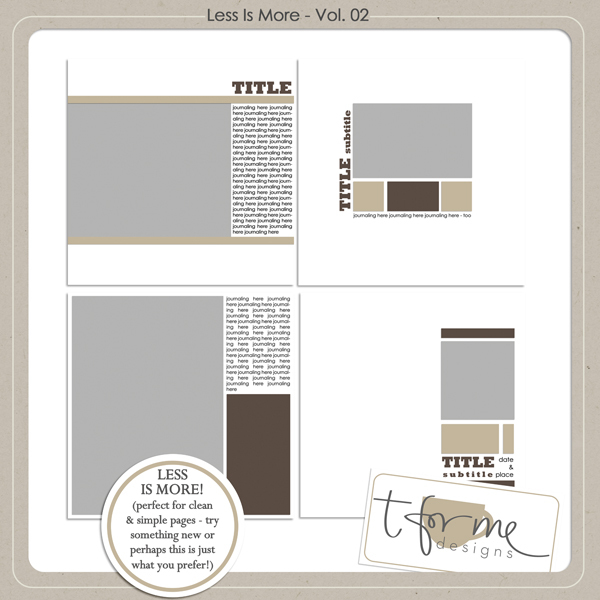 She also have a new template pack released, called Less is more, vol 02. 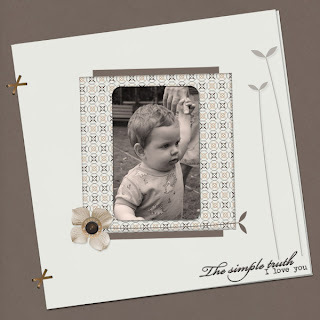 I've made two layouts with these wonderful products!